Access to the Christchurch Justice & Emergency Services Precinct is currently restricted to the Litchfield St entrance. Please allow yourself enough time to use that entrance and go through security screening. Can't find what you're looking for? Our most popular contact us topics could have the information you need. Contact details for fines and civil enforcement. About to do jury service? Contact us if you have an questions. Contact us after 20 working days if you need an update about your request. Every District Court has a Family Court within it. Find the court you're looking for. Find the phone number for the court or tribunal you need using our locator. 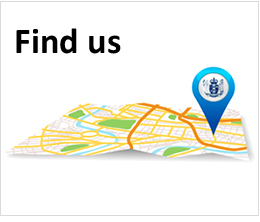 Find the location and contact details of a court, tribunal or other office using our locator. Contact us about an application, a legal aid debt or find a regional office. For information, advice and support for victims and their families and/or whānau. Get more information about your case or find a local office to help you. Contact the Ministry of Justice national office in Wellington. Media contacts for the ministry and the judiciary. How we're working to ensure our processes and systems are fully compliant with the Holidays Act.